Costa Rica’s Plenary Court rejected the proposed tax reform bill last week and asked that four sections of the initiative be corrected. If those issues are addressed, the court says it will give a go-ahead to the proposal, moving it one step closer to becoming law. Otherwise, legislators would need a two-thirds majority of 38 votes to overrule the court’s objections. 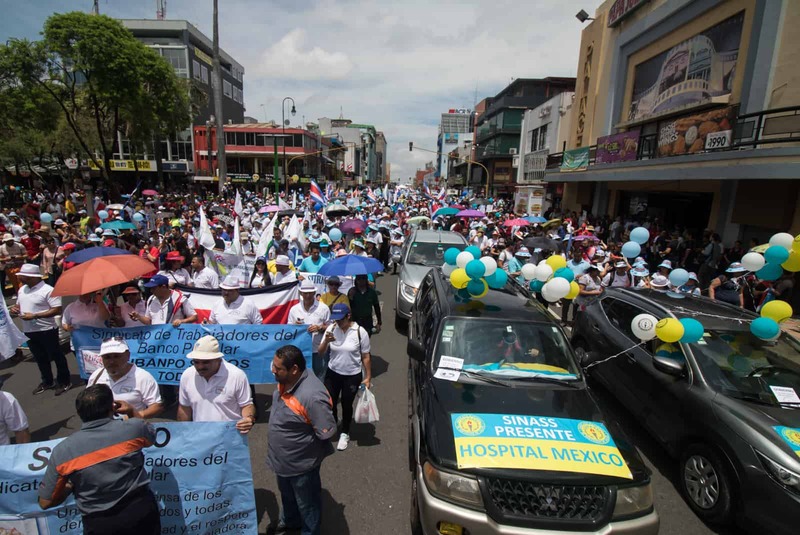 The question of who and what should be taxed has sparked nationwide demonstrations, but economists almost universally agree Costa Rica needs to pass reforms in order to avoid a financial crisis. In an interview with The Tico Times last month, Costa Rican journalist and economist David Ching explained its necessity. “We are spending more than what we are getting from taxes,” he said. If the government defaults on loans, Ching says, it might have to eliminate vital social programs as a cost-cutting measure. “The institutions that are lending the government are not sure that the government will pay back,” Ching said. “Because it’s a problem that has been going on 12 years, it has come to a point where [fiscal reform must be passed] now or we might be in great trouble. The ensuing restructuring included cuts to social-service expenditures and, as financial analyst Karen Hansen-Kuhn noted in 1993, increased economic polarization — increasing the gap between the rich and the poor. Listen to Ching’s entire interview in The Tico Times Dispatch below. You can also listen and subscribe to our podcast on iTunes, Stitcher or Google Play Music.